To not see is to guess. We will not guess about your health! 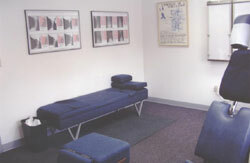 Harris Chiropractic Office accepts payments via cash, checks, Master Card and Visa. Dr. Harris is a Preferred Provider for numerous health insurance plans. As a courtesy, our office will call your insurance company to verify your chiropractic benefits at Harris Chiropractic Office. Again, we would be happy to verify your chiropractic benefit coverage for other major medical and private plans. We accept non-insured self pay patients.